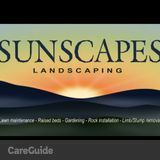 Sunscapes Landscaping Now Serving Boulder and Jefferson Counties! Visit the website today at www.....com to check out some pictures of our work. The phone is right there!! Give us a call or send us an e-mail to set up your consultation. Lets make your yard beautiful!! Organo-Lawn of Fort Collins provides local lawn care services and tree services.